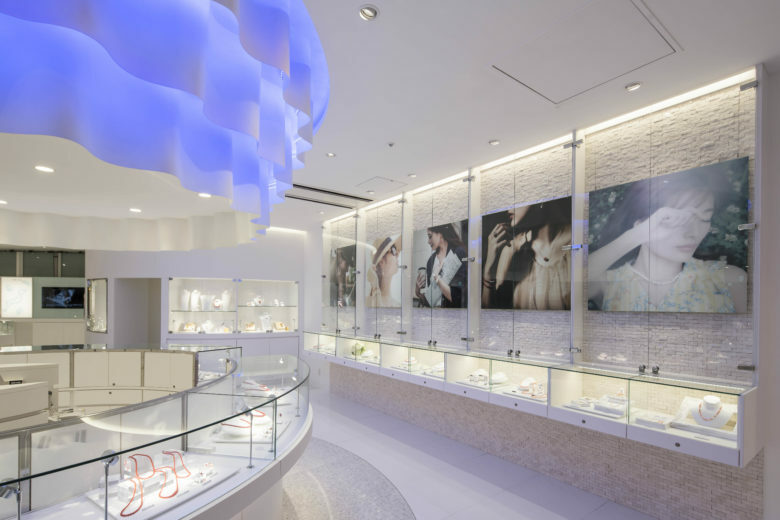 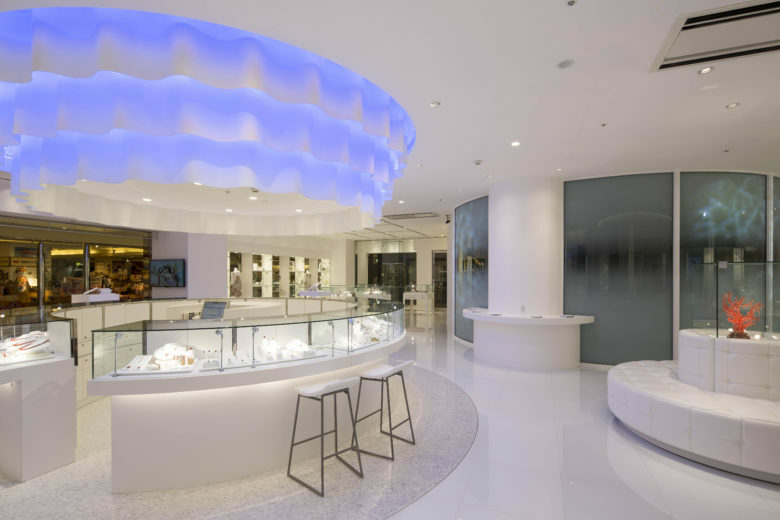 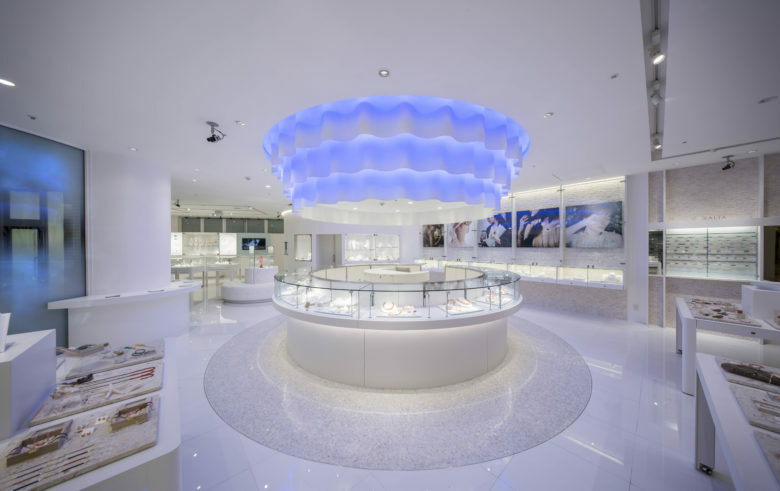 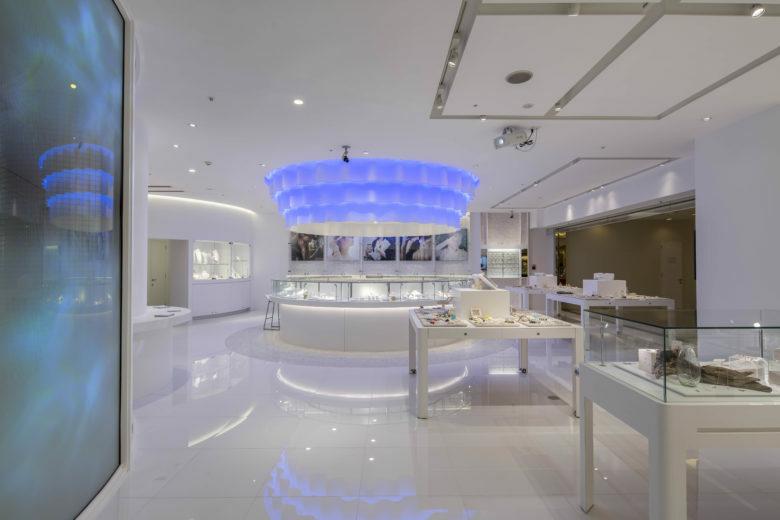 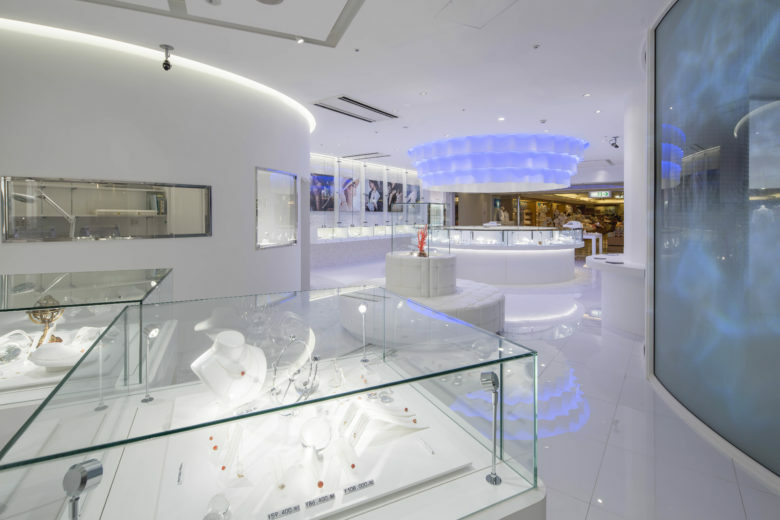 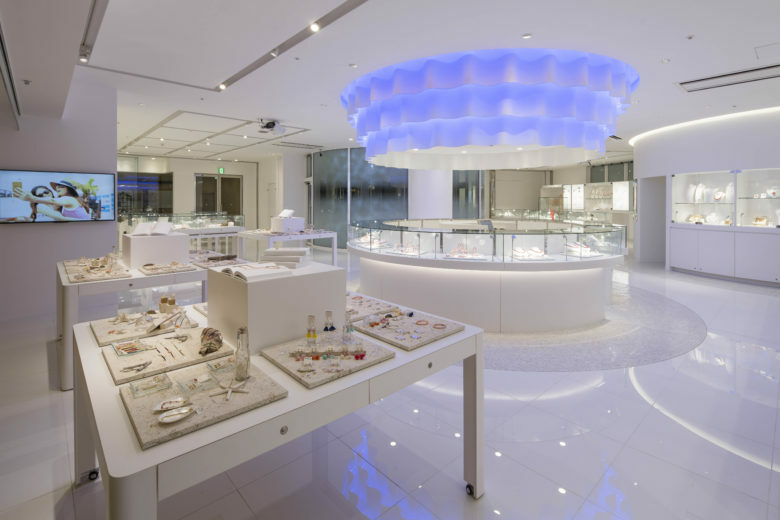 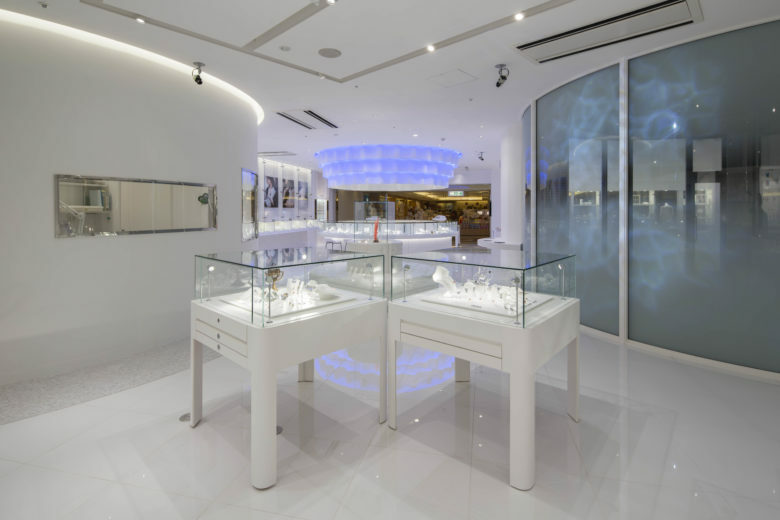 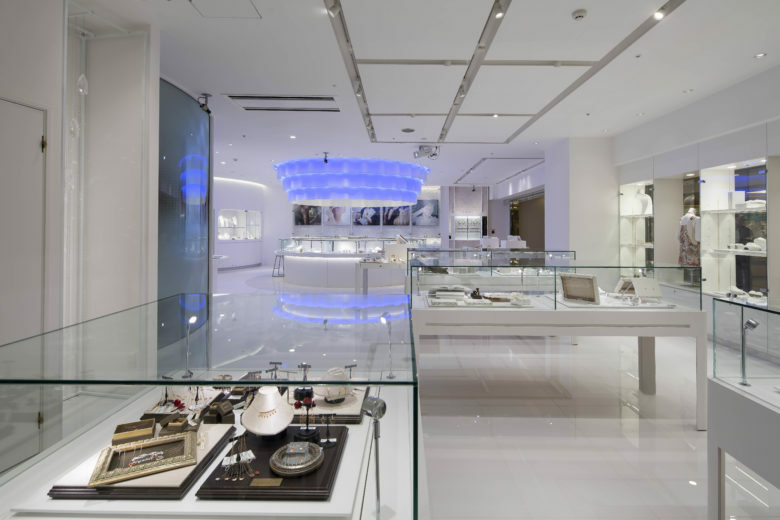 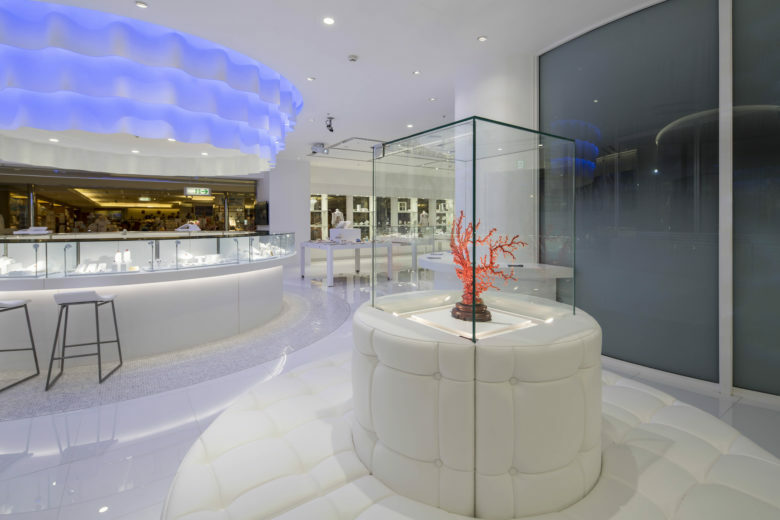 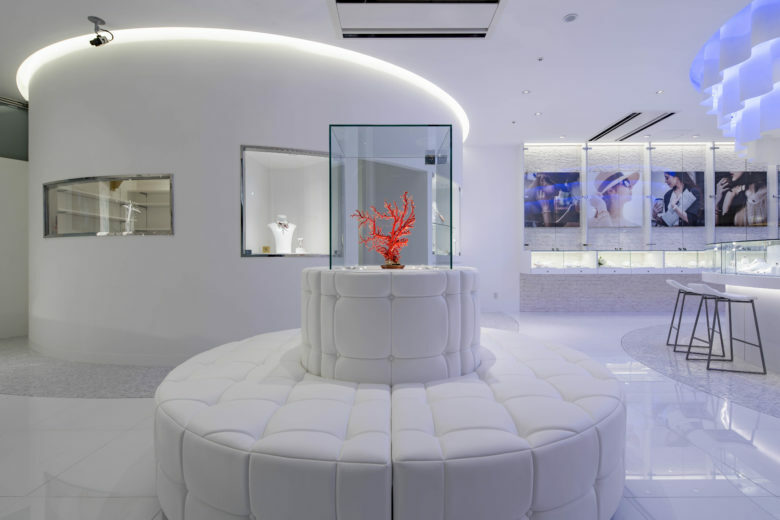 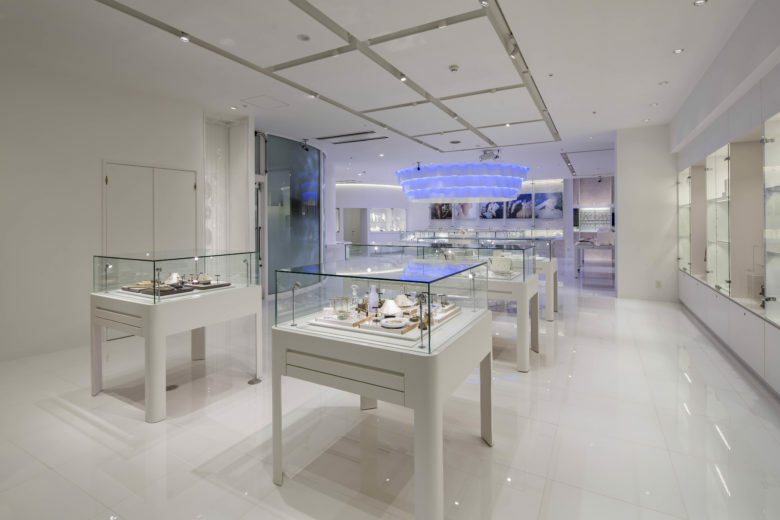 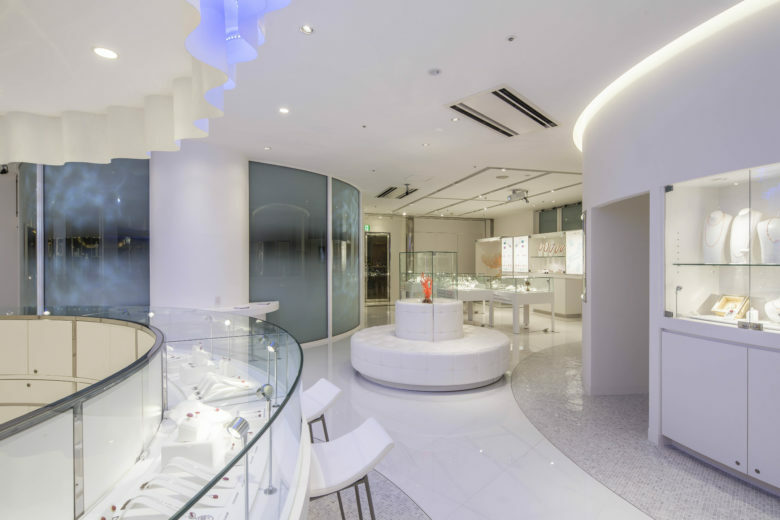 A jewelry shop based in Naha, Okinawa city that handles precious Japanese corals. 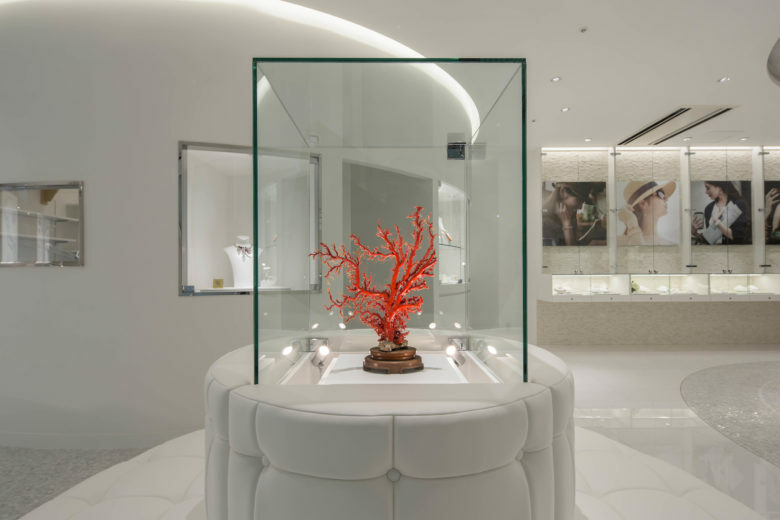 We aimed to spread the image of Japanese precious corals as jewelry throughout the world while their value is not yet widely recognized. 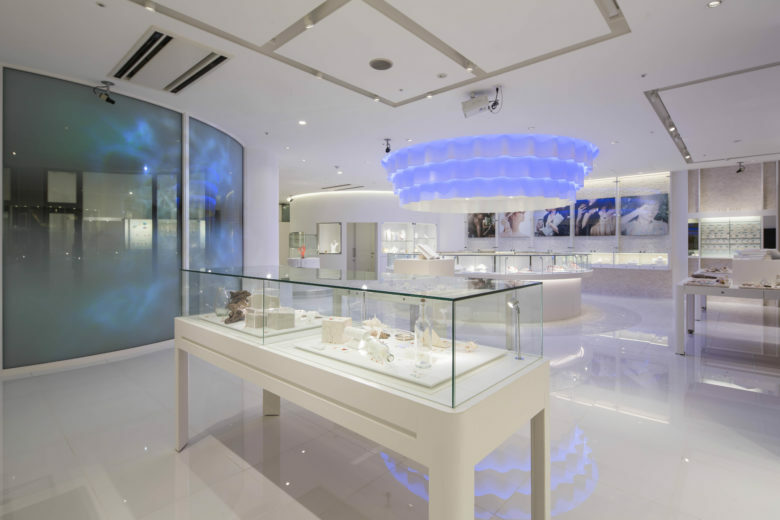 The studios where the jewelries are produced and the academic area are incorporated into a single shop in order to help customers learn more about the precious corals. 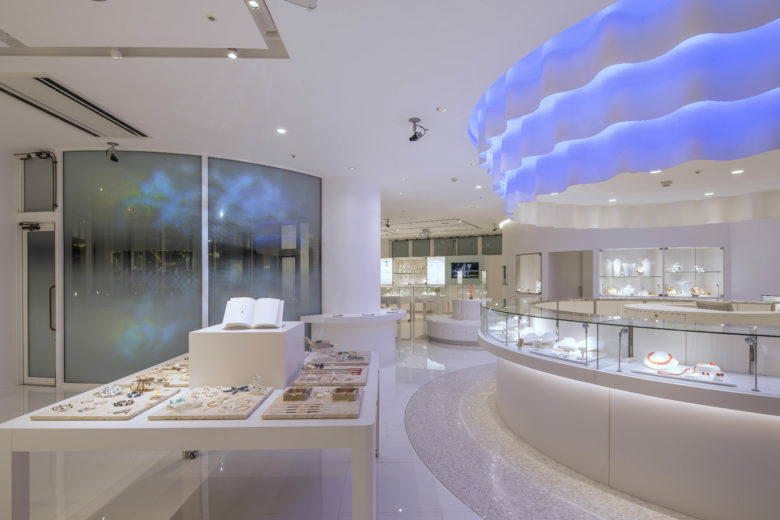 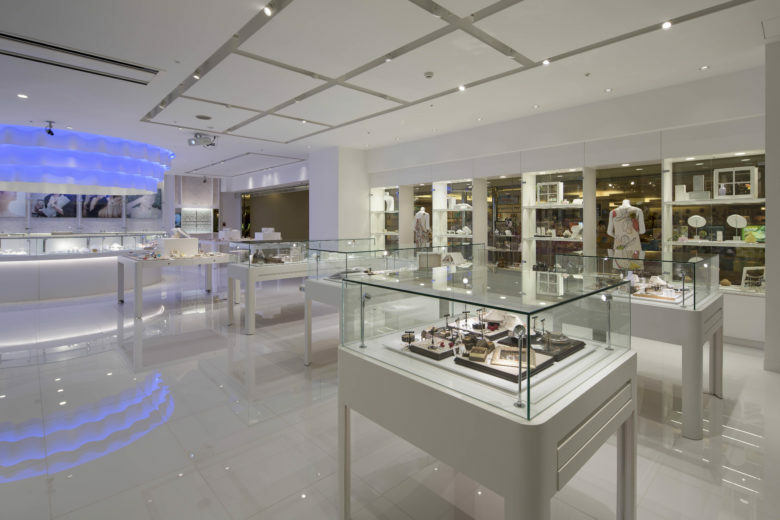 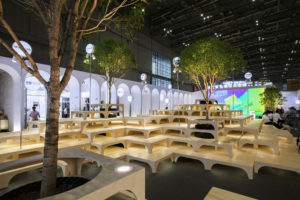 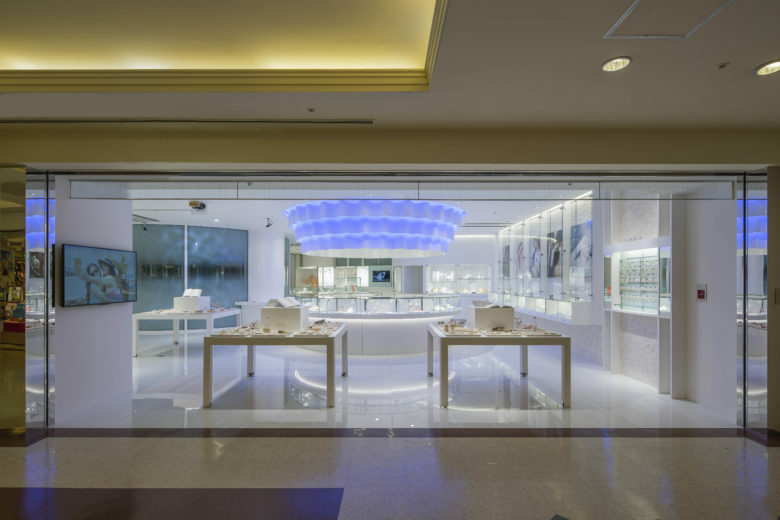 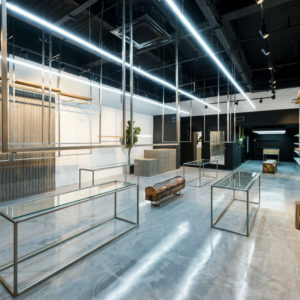 And as its concept “an aquarium that rebrands precious corals”, it has planed to enable customers to walk around the shop like they do in the aquarium. 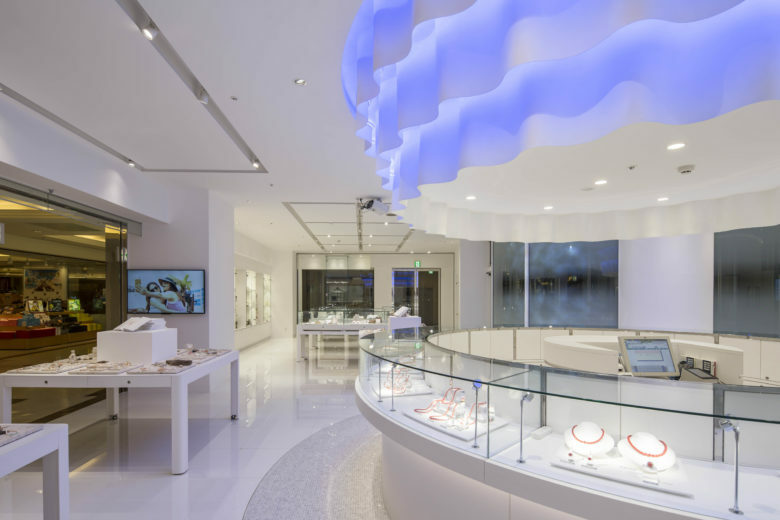 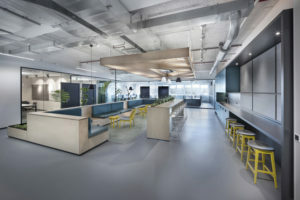 Attracting drapes and lighting filtered through unique patterns to depict water surface patterns produced at FRP were utilized to express homage to the precious corals found in deep seas.